£50 non refundable deposit must be paid at time of booking. 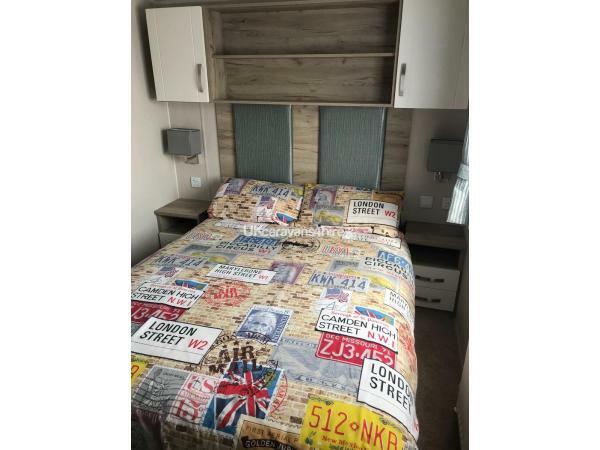 Price includes all bed linen, gas and electric. You need to bring your own towels/tea towels. 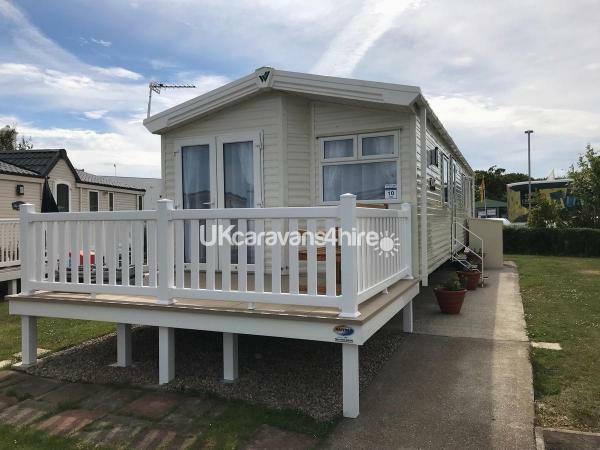 BRAND NEW .....fantastic, clean and comfortable static caravan sited on Whitley Bay Holiday Park. 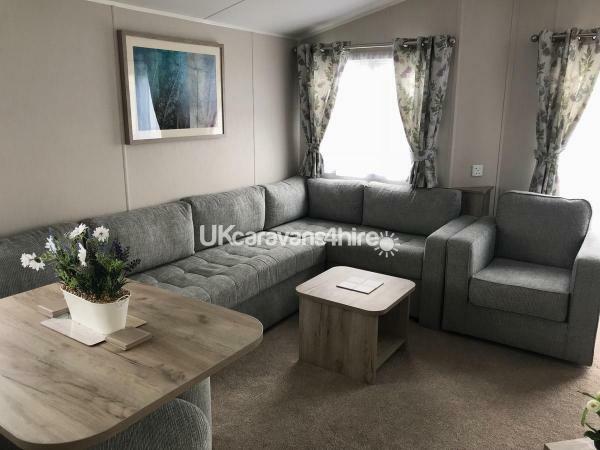 There is an entertainment complex on site ( just metres away from caravan) including day/ night entertainment, swimming pool, park, restaurant, shop and launderette. The beach is a 5-10 min walk. 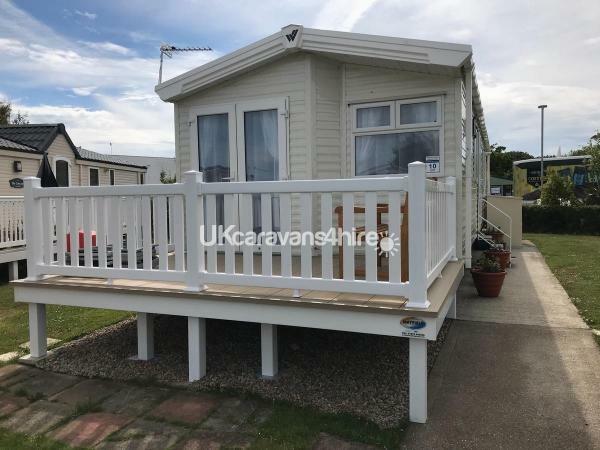 It is Ideal for a family fun holiday! 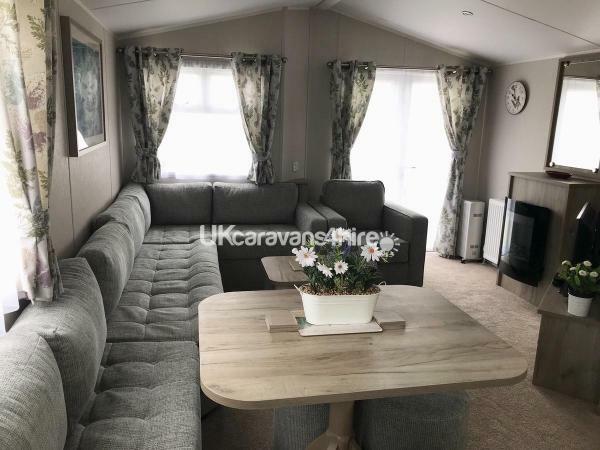 This BRAND NEW 3 bedroom 6 berth caravan is furnished to a Gold Plus standard, fully double glazed with central heating/ radiators. 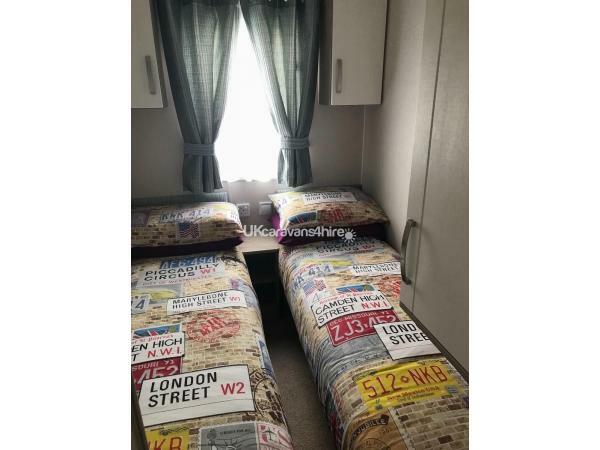 There is a double bedroom and 2 twin bedrooms. 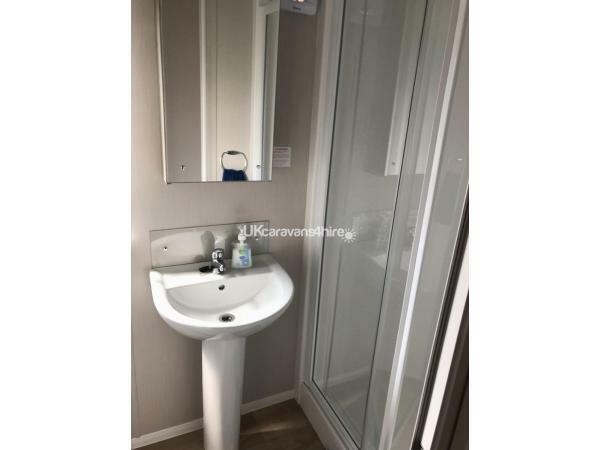 There is a shower/ toilet as well as an ensuite in master bedroom. 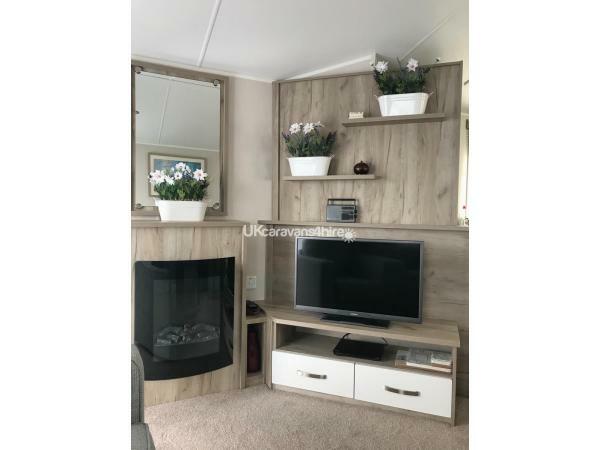 The living room area has a corner sofa and armchair, electric fire and freeview TV and DVD player. There is a dining area which leads to a well equipped kitchen. There are patio doors which lead onto enclosed decking. 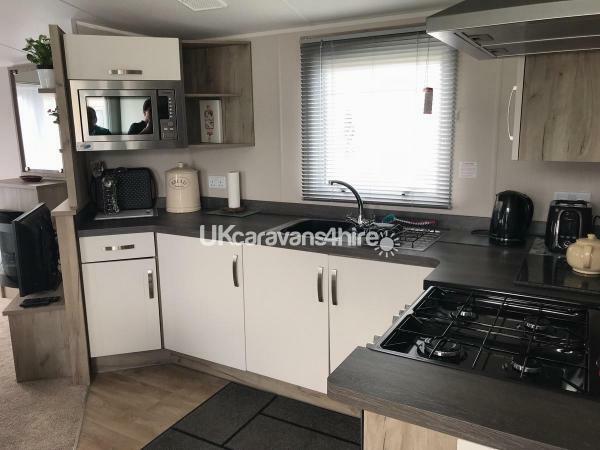 The caravan is well equipped with a freeview TV, DVD player, fridge/freezer, cooker, microwave, kettle, toaster, all crockery/cutlery, duvets, pillows and all bed linen. 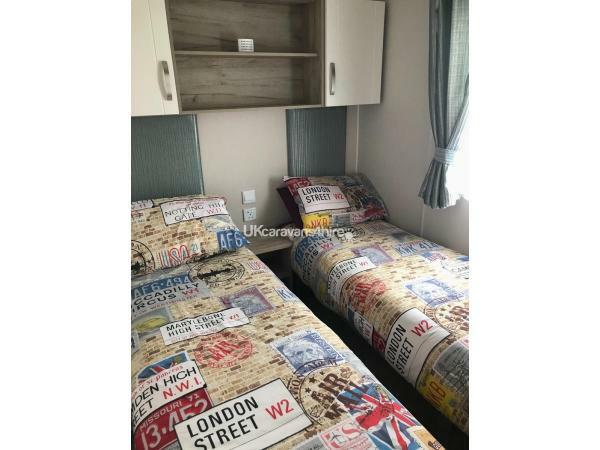 All bed linen, gas and electricity is included in the price. Please bring your own towels. There is a designated parking space right outside the caravan. Entertainment passes not included but can be purchased on site. 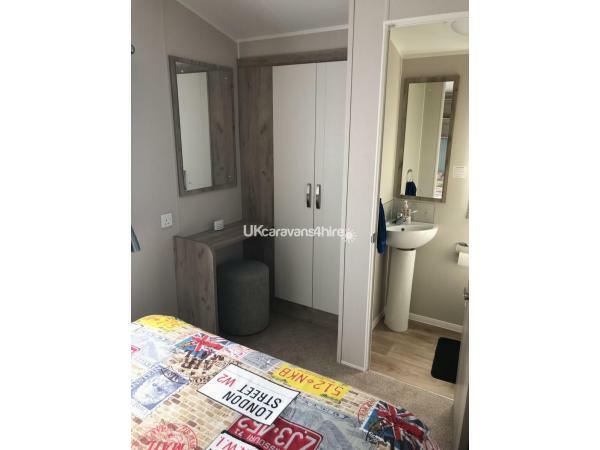 Easy access to Newcastle, MetroCentre and the fantastic Northumberland coast.